Last week, on Monday July 21st, the production of new historical epic Battle Of Myeongryang wrapped following a lengthy seven-month shoot. The period naval war film is the new work from War of the Arrows (2011) director KIM Han-min and features Oldboy (2003) star CHOI Min-shik as a legendary admiral. 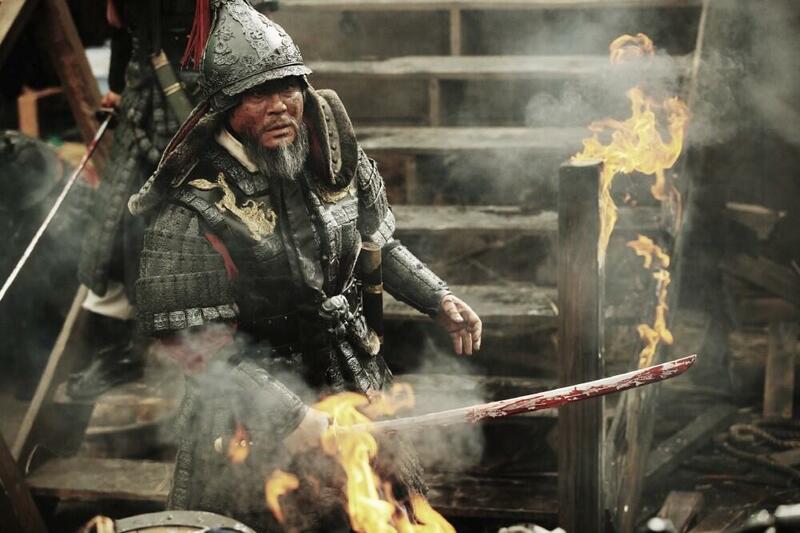 In the film, CHOI plays naval commander Yi Sun-shin who led his 12 ships to a heroic victory against an invading fleet numbering 330 vessels circa 1597. CHOI most recently made the top gangster films Nameless Gangster and New World and he will be joined by top thespian RYU Seung-ryong, who is fresh off a string of hits including All About My Wife, Masquerade and Miracle in Cell No. 7. Also in the cast will be JIN Goo from BONG Joon-ho’s Mother (2009) and last year’s crowd-funded hit 26 Years.